These Euro-designed hot tubs feature the latest in spa technology and design. 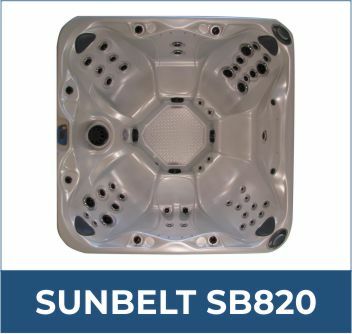 The Sunbelt Series feature ergonomic seating with European flair and style. Designs inspired by Roman baths and hydrotherapeutic techniques create simple elegance while performing relaxing massage. 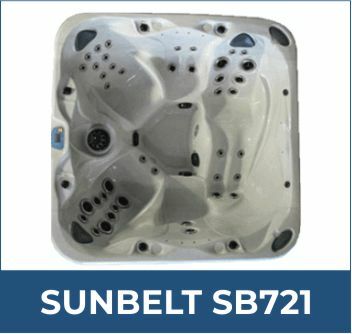 With 42 jets and seating for 5, the SB721 is a crowd pleaser and comes pre-installed with mood lighting and pop up surround sound. Click for more information. 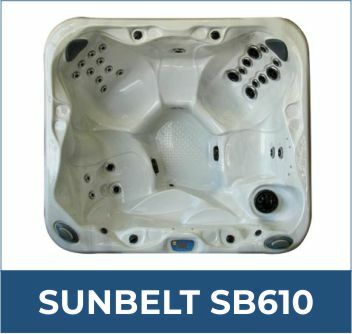 A 450 gallon, 45 jet spa from Sunbelt that seats 7. Click for more information. 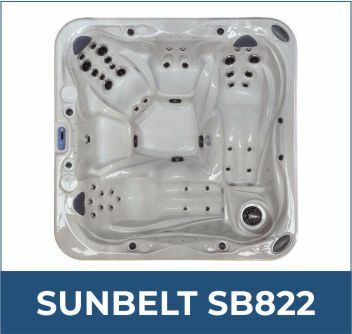 A 47 jet, 500 gallon spa with plenty of room for 6. Click for more information. 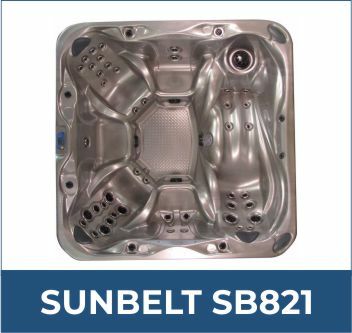 A 475 gallon spa with 47 jets that comes pre-installed with pop up surround sound and LED mood lighting. Click for more information.